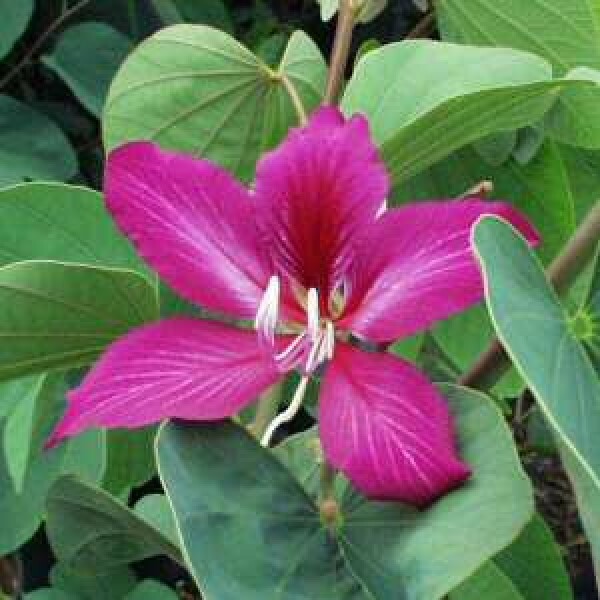 Bauhinia have several advantages for the gardener or landscaper. They are a medium (sometimes small) sized tree, so controlling their size is easy to do. They even make great potential bonsai plants, and do have a bit of an Oriental flair to them, at least in tree shape. A beautiful canopy that can be controlled to within 20 feet in height is always a plus. Flowers of bauhinia do resemble those of orchids, and are the main attraction. Colors of white, purple, pink, lavendar, red, orange, and yellow are all found within the bauhinia range, and color depends on species. Some are rare, but most are attainable.